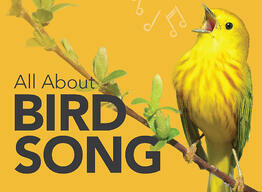 Help us inspire you to learn more about birds and biology. Join our Fall 2014 focus group. All About Bird Biology was created by the Cornell Lab of Ornithology to inspire people to learn more about birds in a fun, interactive online environment. First released on March 2014, the site is designed as an ever-expanding resource highlighting what's really going on in the lives of birds. We are currently looking for people in the Bay Area willing to participate in a focus group to help us shape the future of the site. You'll be getting a sneak peek of our new interactive feature All About Bird Song and discussing your thoughts after exploring the site. Participants will be invited to take one of the following for free: Be a Better Birder tutorial, Raptor ID webinar, or the Waterfowl ID webinar. Please fill out the form at the right. Once we've gathered names of interested people, we'll invite you by email to choose from a list of possible dates and locations to get together for a two hour focus group session.